MVCC Green Tent: Thank You For Your Support! Your support is driving significant change in the City of Los Angeles on environmental issues. Here's an update on the policy motions that the MVCC has passed for the Green Committee and the progress they have made. Thank you Mar Vista for your incredible team work! 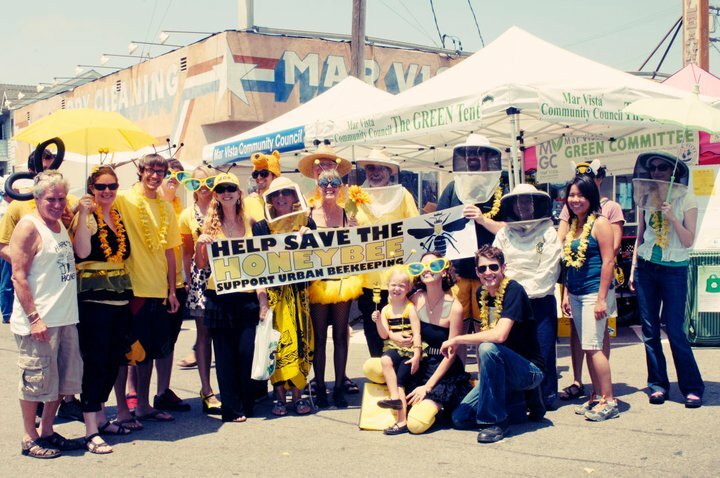 Bill Rosendahl moved this forward this week with this notice and motion - “We took a step towards implementing urban beekeeping legislation within the City. This morning, we submitted a motion that instructs various departments to begin exploring the possibility of allowing urban beekeeping within the City. I have included a copy of the the submitted motion for your benefit. This is the first of many steps in the legislative process, but we wanted to share our progress and keep you up to date.” See his motion here. You can show your support by signing this petition. We are still working on this! Updates to follow. Policy Motion: Mar Vista Community Council Letter to David Freeman regarding clean electricity in Mar Vista. This needs continued outreach and effort. We are working with LA Beyond Coal to continue to move forward. See progress below in update on Feed In Tariffs! The LADWP has a pilot program on Feed in Tariffs in place and is accepting applicants now! If you own commercial or multi unit residential property, please apply. Policy Motion: Mar Vista Community Council Motion in support of Stormwater Low Impact Development Ordinance. This passed and went into effect this month! This will make a HUGE difference in protecting our watersheds. Policy Motion: MVCC Motion in support of City-wide ban on the issuance of plastic bags. This was approved by the LA City Council this week! Policy Motion: MVCC Motion in support of using California natives in the landscaping for phase two of the Exposition Line light rail project. On June 7th, the Expo Board of Directors voted unanimously to approve the motion introduced by Councilmember Koretz to landscape Phase Two of the Expo Line with California Native Plants "to the fullest extent possible along the alignment." Aquabio Presents This Sunday June 3rd! Master Gardener's Return this Sunday May 27th!